The programme will consist of interactive demonstrations and panel discussions on relevant industry topics, such as digital hybrid and low migration. The forum, which will be conducted in English on 11th and 12th September and in Polish on 13th September, will provide networking opportunities with the Mark Andy staff plus key industry suppliers. The ‘Power of Hybrid’ forum will also serve as a Labelexpo Americas preview, with the company expecting record attendance. For the first time since its March 2018 launch, Digital Series HD will be demonstrated in Europe. This new version adds green, orange, and violet to the base CMYK colours to offer an even higher Pantone matching capability. 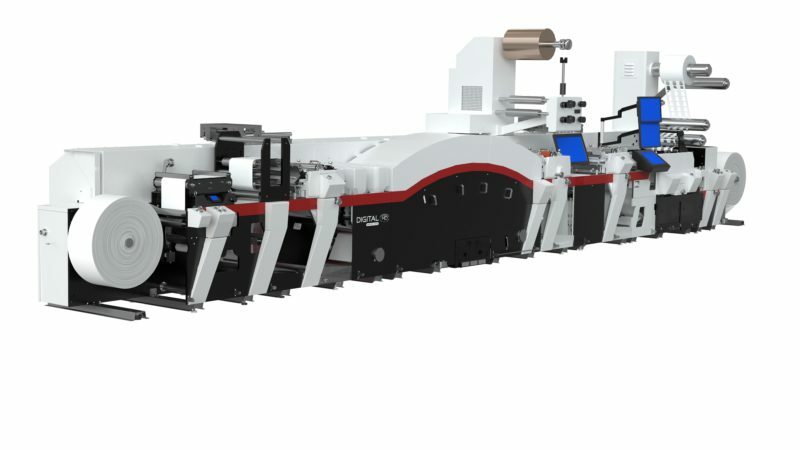 Mark Andy will demonstrate how the machine combines the practical convenience of digital with the proven capabilities of flexo printing to provide the most profitable hybrid solution. Building on the theme of hybrid, Mark Andy’s Performance Series P7, fitted with Digital Plus Screen, will also be printing at the forum. The Digital Plus Screen serves as a digital inkjet replacement for rotary screen print and can be added to any flexo machine to create a modular hybrid solution. Digital One, built specifically for prime labels, will be running various short run jobs throughout the event. During demonstrations, attendees will see how this affordable technology can allow converters to profit on low-volume applications. With a growing installed base worldwide, many printers are using the Digital One as a starting point for their digital label business. Rotoflex and Presstek equipment and representatives will also be on site to showcase technological advancements. Demonstrations of the Rotoflex VSI, HSI and Presstek 34DI digital offset press with ECO-UV will occur each day. Attendees will have the opportunity to talk with product specialists and learn more about the technology they have seen. Between live equipment presentations there will be interactive discussions on low-migration printing and digital hybrid.